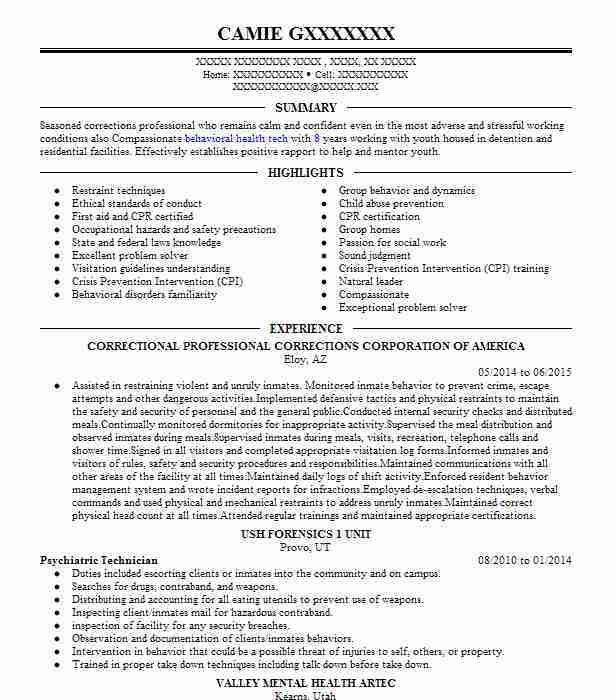 Very Compassionate Psychiatric Technician has extensive knowledge of various mental health diagnoses and psychotropic medications. Understands appropriate intervention and MANDT restraint techniques. 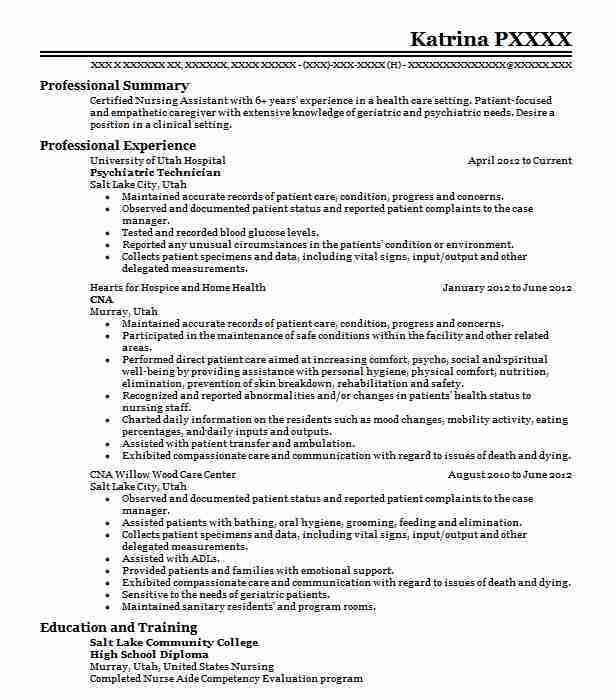 Has good social verbal and documentation abilities a Bachelor’s Degree in Psychology and First Aid CPR Medication Administration and MANDT certifications. Worked one-on-one with patients admitted to the psychiatric treatment floor. Administered psychotropic medications both orally and via shots as ordered. Completed treatment plans with the treatment team. Led some group therapy sessions for patients. 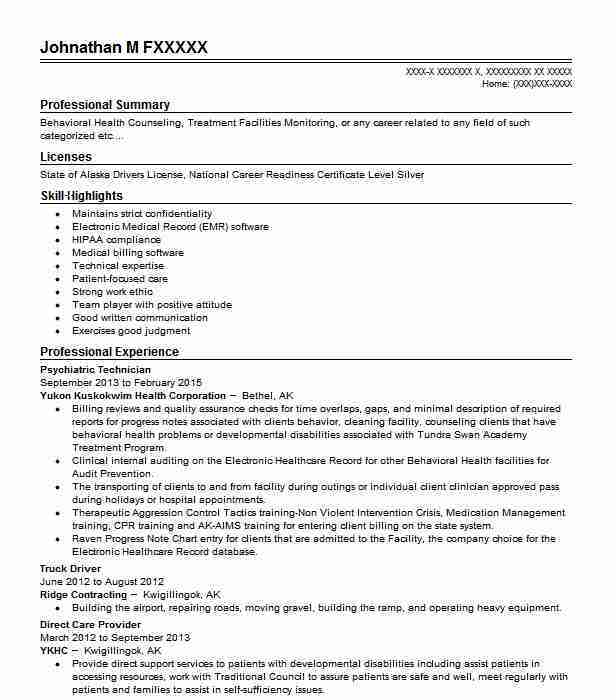 Prepared individualized treatment plans and interviewed patients upon admission. Conducted group therapy sessions for admitted patients. Used intervention strategies including Mandt-approved physical restraint methods. Met one-on-one with individual patients for daily treatment care. Conducted patient observation and reported observations to medical staff. Maintained patient confidentiality at all times. 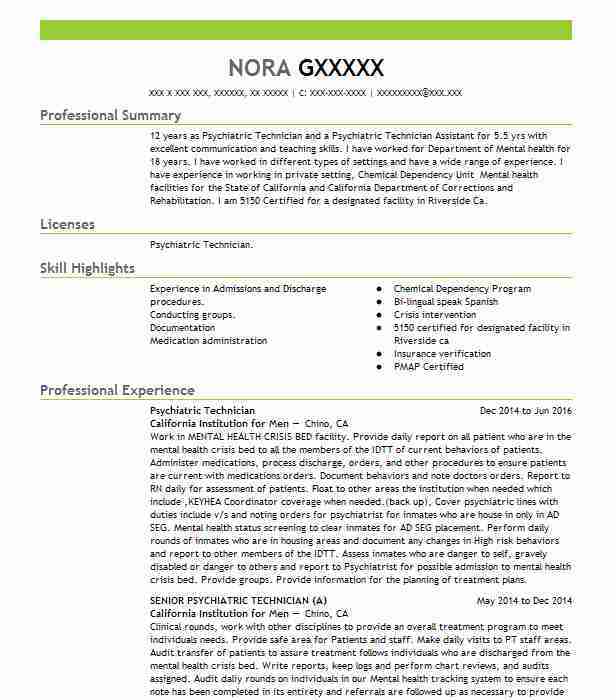 There are plenty of opportunities to land a Psychiatric Technician job position, but it won’t just be handed to you. 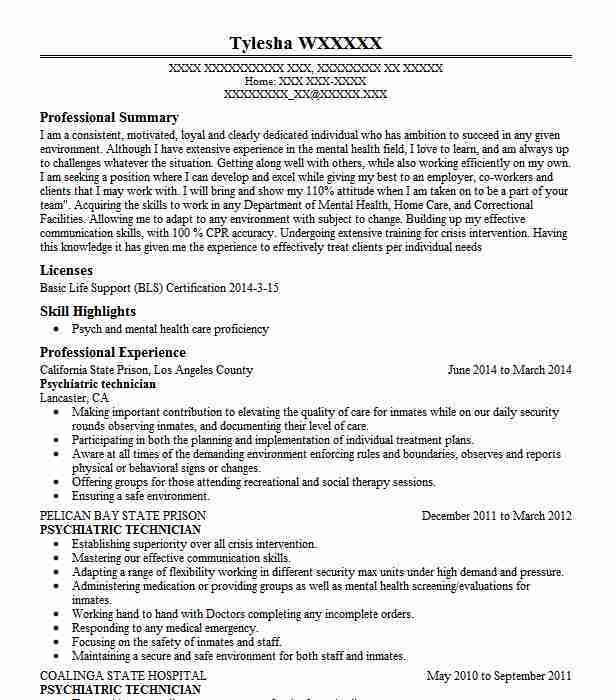 Crafting a Psychiatric Technician resume that catches the attention of hiring managers is paramount to getting the job, and LiveCareer is here to help you stand out from the competition.